This description of the leopard by Maitland Edey captures the very essence of the leopard. The smallest of the four big cats, the leopard is elusive, solitary and proficient at living in the shadows of its larger cousins the tiger and the African lion. Leopards are also adept at surviving in environments occupied by humans but live secretive lives rarely seen making the cat difficult to observe and complicating the ability to make estimates of the leopard population across Africa. The body size and color patterns of leopards vary geographically and probably reflect adaptations to the different habitats. Leopards have short legs relative to their long body. They have a broad head with powerful jaw muscles. The leopards’ scapula is uniquely attached to its muscles allowing the spotted cat to be a more proficient at climbing. The leopard also has a unique locking wrist that allows for the cats adept tree climbing (Joubert B. a., 2009). Leopards have small round ears, long whiskers extending from dark spots on the upper lip and long whiskers in their eyebrows that protect their eyes while moving through dense vegetation. 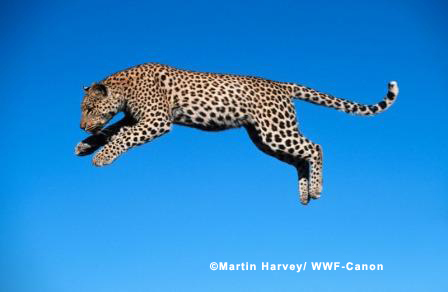 The leopard’s coat ranges from tawny or light yellow in warm, dry habitats to reddish orange in dense forests. 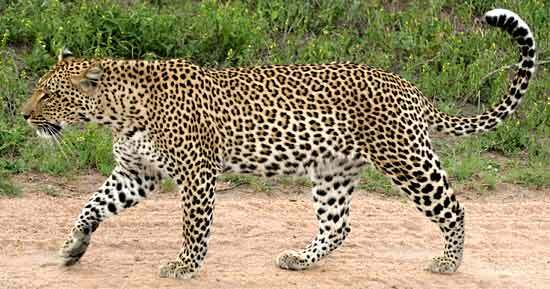 There are nine subspecies of Leopards (Panthera pardus). Subspecies are distinguished by unique pelage characteristics. Their body is covered with black rosettes, which are circular in East Africa and square in South Africa. Leopards have solid black spots on their chest, feet, face and rings on their tail. Each individual leopard has a unique coat, and this unique coat is often used for identification. 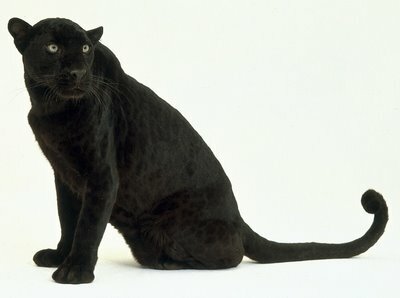 Black panthers, which are often found in humid forests, are leopards with recessive melanistic genes. The leopard has the widest habitat tolerance of any Old World Felid, making it the most versatile of the big cats. 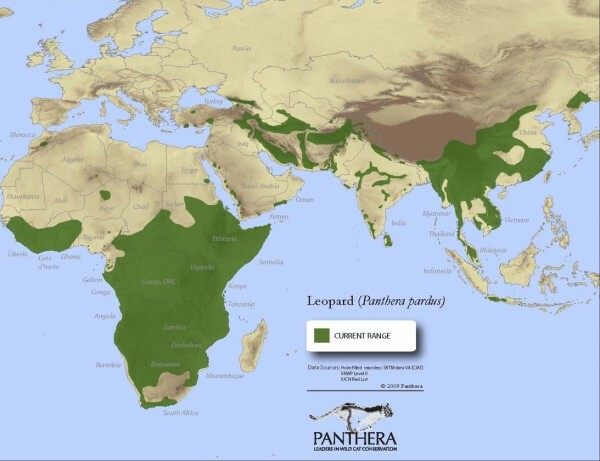 The leopard’s wide range and ability to survive in areas where other large carnivores have been extirpated has given the impression that the leopard’s conservation status is secure and therefore leopards are often given a lower conservation priority than the tiger and the African lion. I hope you liked my post about leopards. They are amazing cats. 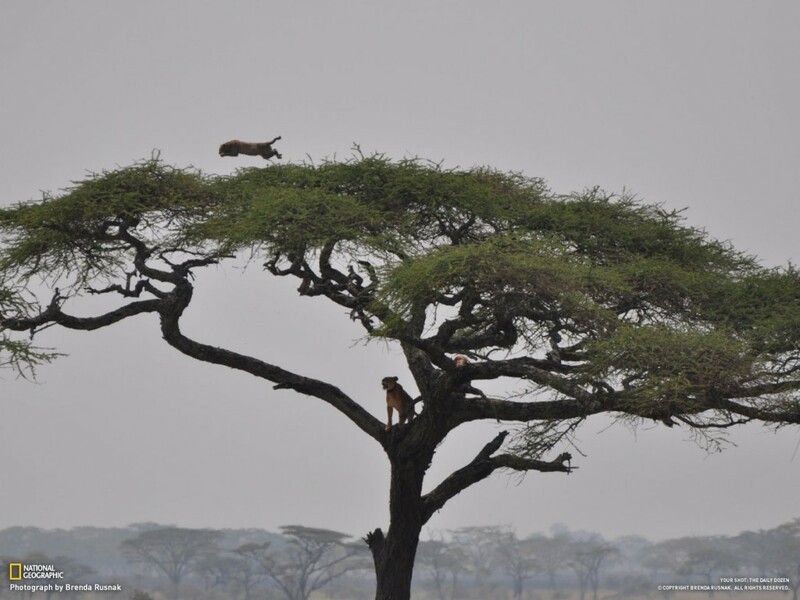 My goal is to leap like a leopard some day. Thank you for caring for all cats, big and small! Joubert, B. a. (2009). Eye of the Leopard. New York: Rizzoli International Publications, Inc.
Joubert, B. J. (Director). (2006). Eye of the Leopard [Motion Picture]. National Geographic. They way you are moving Gracey, you will be leaping over leopards! Gracey, you are amazing, with all your knowledge! Thanks for sharing! xoxox Happy Leap Day to you, and all the kitty’s!!! That’s a great photo for Leap Day. Perfect.